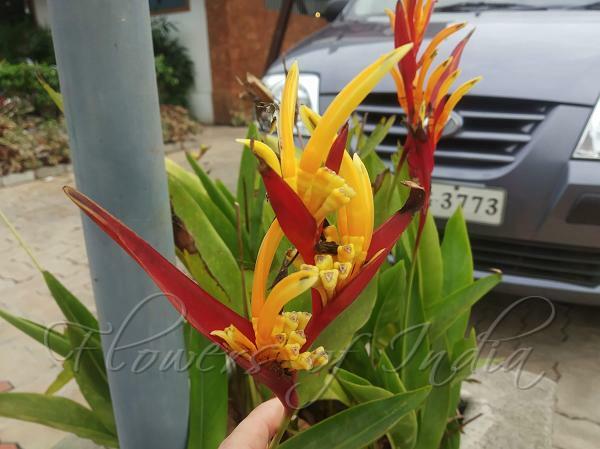 Parakeet Flower is one of the most popular type of heliconia, probably due to the fact that it is one of the easier heliconias. It is also one that resembles most to the birds-of-paradise. The inflorescences of parakeet flower are very striking. The reddish pointed structures are called bracts. These tough, leathery structures protect the actual flower, which is yellow and quite delicate. 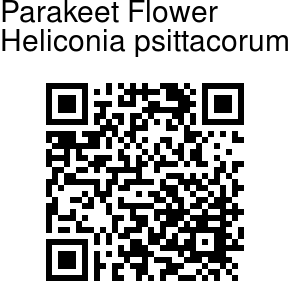 The hummingbird that comes to this flower has a bill precisely shaped to fit into the flower. The heliconias bloom all the summer and they are great cut flowers, lasting 2 to 3 weeks.Heliconias are heavy feeders, and need rich humic soil. They also make great container plants.